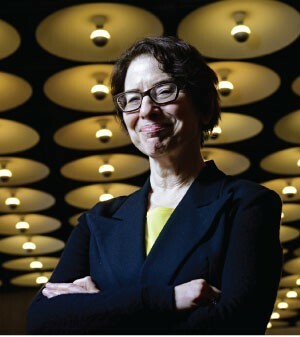 Elisabeth Sussman, Curator at the Whitney Museum of American Art, has been questioning, challenging and shaping the world of contemporary art for more than 30 years. She’s been lauded and has also faced criticism over controversial works. In the run up to producing one of the premier events in the art world, the Whitney’s Biennial, she takes stock of what keeps pushing her. The Baltimore native’s past reveals a heavy artistic influence. Sussman’s mother, a painter, trained at the prestigious Maryland Institute College of Art. She was also a patron of the Baltimore Museum of Art and often brought her daughter to see the Cone Collection of modern masterpieces by Matisse, Picasso and others. Given the combination of artistic encouragement and familiarity with a museum’s significance, it’s not surprising that Elisabeth pursued art history. After graduating from Simmons College, she worked briefly at the Museum of Fine Arts in Boston, where she “learned the ropes of what museum life was like.” In the late 70s, she started a 12-year stint as curator at the Institute of Contemporary Art in Boston. 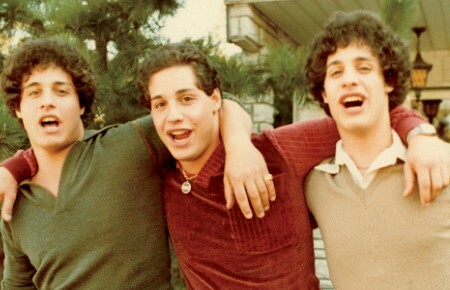 Sussman joined the Whitney in 1991. “Two years after I arrived, I was asked to do the ninety-three Biennial and that was called baptism by fire,” she said with a smile, recalling the reaction to the exhibit. That year she presented a controversial exhibition. “We were coming out of the very politicized time of identity politics and AIDS activism and so it all went into the biennial,” she said. While the exhibit has since been heralded as a watershed event, the road wasn’t always smooth. Sussman showcased cutting-edge work by gay, minority and female artists who were addressing polarizing issues of the day, including Nancy Spero’s confrontational feminist images and Scene of the Crime (Whose Crime?) by Latino artist, Pepón Osorio, an installation that addressed racial stereotypes. The Whitney’s Biennial is the rare chance for the institution to reinvent what a museum should be, though it’s a serial affair. In 2012, Sussman and co-curator Jay Sanders staged a softer revolution. They showcased fewer pieces of visual art and included performance art and video, dance, theater, music and film, using a whole floor of the museum for performances. They focused on the dialogue about what art is and what museums should show—is it just static objects or even primarily visual? Sussman has also made significant purchases for the Whitney. 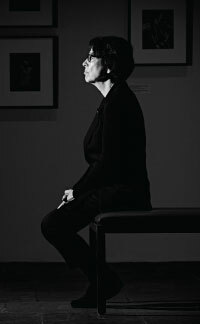 Among her notable acquisitions are photographer Nan Goldin’s, The Ballad of Sexual Dependency; an unflinching diary of 700 slides showing gay, straight, healthy and broken relationships during the 1980s; Mike Kelley’s Educational Complex, an architectural model of schools he attended, which the artist explained is a commentary on repressed memories; and a significant selection of Diane Arbus’s idiosyncratic black and white portraits presenting the fringes of society. “I’m proud of what I’ve brought into the Whitney,” Sussman said. Following her instincts as a curator has paid off. She received the 2013 Irmas Award for Curatorial Excellence and has been honored four times by the International Association of Art Critics for the best monographic museum show. For this year’s biennial, Sussman and Sanders are acting as the museum’s advisors to three outside curators: Stuart Comer, Anthony Elms, and Michelle Grabner—each of whom were invited to create an exhibition on one floor of the museum. This will be Sussman’s 3rd biennial and the Whitney’s 77th. It’s the museum’s signature exhibition and has been defining American art since 1932. Past featured artists have included O’Keeffe, Pollock, Basquiat and Koons. Artists, critics, other museums and just about everyone interested in contemporary art globally, looks to the biennial for a chance to see some of the best work being done now and for a glimpse of future trends. Sussman’s experience this year will be crucial. “Everybody has to be involved,” she explained. “The Whitney’s role is to be on top of art as it’s changing from a curatorial viewpoint.” It takes a bit more than a year to plan the 11-week long event and gather the works. At the moment, her time is split with the Whitney’s move in 2015 to a new building in the Meatpacking District that will almost double its exhibition space. The 2014 exhibit includes works by over 100 artists. While there’s no main theme, certain trends appear. Writers, archivists and artist collectives will be featured. This year’s roster lists many in their 50s and 60s as well as octogenarians like fiber artist Sheila Hicks, abstract painter Louise Fishman and poet/painter Etel Adnan. 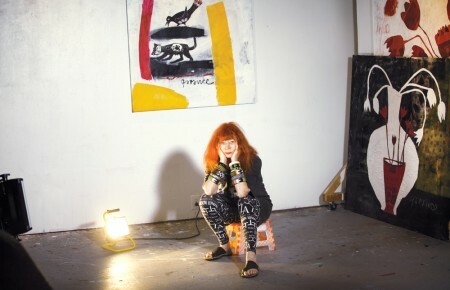 The 2014 Whitney Biennial, March 7th – May 25th: Over 100 artists and more than 400 works of painting, drawing, photography, printmaking, video, installation and performance. This will be the Biennial’s last installation in the iconic Breuer building on Madison Avenue before it moves downtown next year.